Everything you wanted to know about car brands. 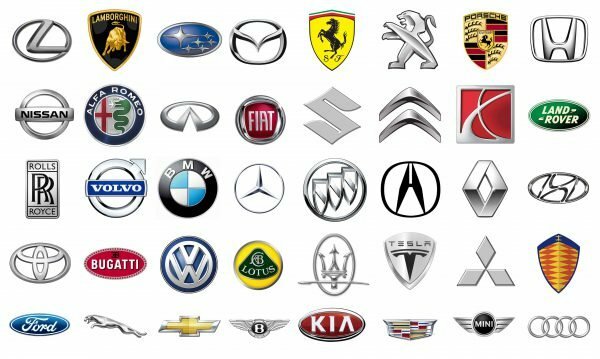 A complete list of car logos, including the most exotic ones. Our website will help you to become an expert! To find the information you need you may use two ways: either find the auto manufacturer in this list or read an article about car makes by country. It’s not that easy to detect when the first car brand, in modern understanding, appeared. Probably, we need to start with what is considered the first true automobile, which was created by Karl Benz in 1886. The petrol or gasoline powered vehicle was made in several identical copies. The first Daimler and Peugeot vehicles came three years later. In the course of time more and more car brands appeared, some of which still exist: Opel and Fiat (both in 1899), Tatra (made its first car in 1897), Peugeout (1891), Renault (1898), Aston Martin (1913). 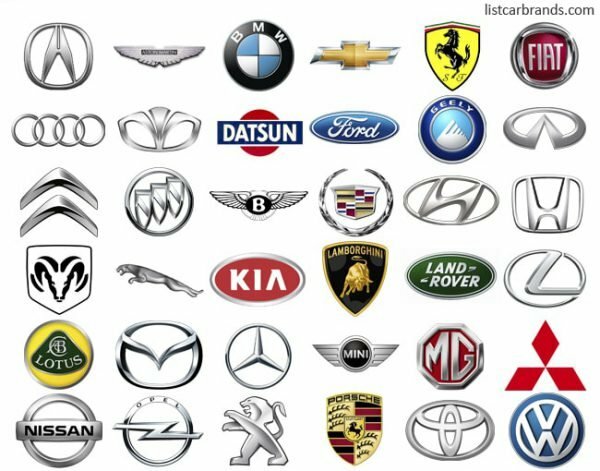 Car logos evolved from hood ornaments, and in many cases hood ornaments are actually the same as logos. Some of the most impressive sculpted ornaments belong to Bentley (Flying B), Packard, Pontiac, and Rolls-Royce. The first car badges of this kind appeared when radiator caps were moved from the engine compartment, where they were typically located in first cars, to the outside of the vehicle. Due to this fact, car companies got a chance to make the cap a car’s visual focal point. Unfortunately to car logo designers, studies proved that hood ornaments worsen aerodynamics. That’s why many brands no longer have them on their cars. There are 4-5 countries that account for the majority of cars produced all over the world. One of the leaders is Germany, the homeland for such well-known brands as Mercedes-Benz, Audi, BMW, Opel, Porsche, and Volkswagen. Some of the most popular Italian brands are Maserati, Alfa Romeo, Ferrari, Fiat, and Lamborghini. Among more than 10 car brands based in Japan are Acura, Honda, Infinity, Lexus, Mazda, Mitsubishi, Toyota, and Subaru. The US, which are among the world’s leading carmakers, are the homeland for Chrysler, Chevrolet, Cadillac, Jeep, Lincoln, and Tesla Motors. Many car brands are based on one and the same range of symbols. Some of the most popular ones are wings and horses, which both have to do with speed. Many car logos have a very interesting and long history. Take Ferrari’s prancing horse, for instance. It came from the picture that a legendary ace of the Italian air force during WW I painted on his airplanes. Enzo Ferrari opted for yellow field for the background as a reminder of his native Modena. Emblems that appeared more recently tend to be more minimalistic and sleek. Lexus, for instance, has a stylized “L” encircled by an oval as its logo. Some more examples of minimalistic, yet impressive logos include Mazda, Infinity, and Toyota.